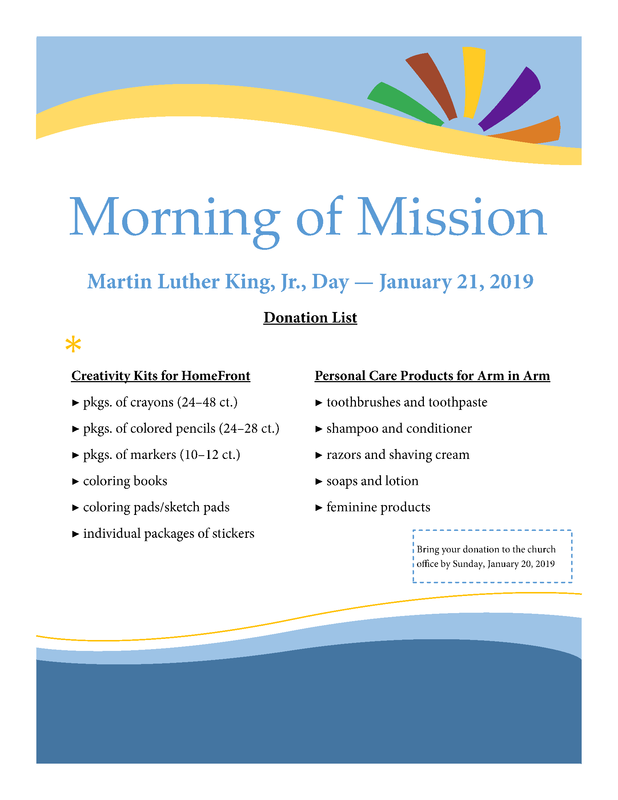 Donations requested for our Morning of Mission on Monday, January 21. Download the flyer here Morning of Mission Donations Flyer (pdf). Please bring your donations to the church office by Sunday, January 20.